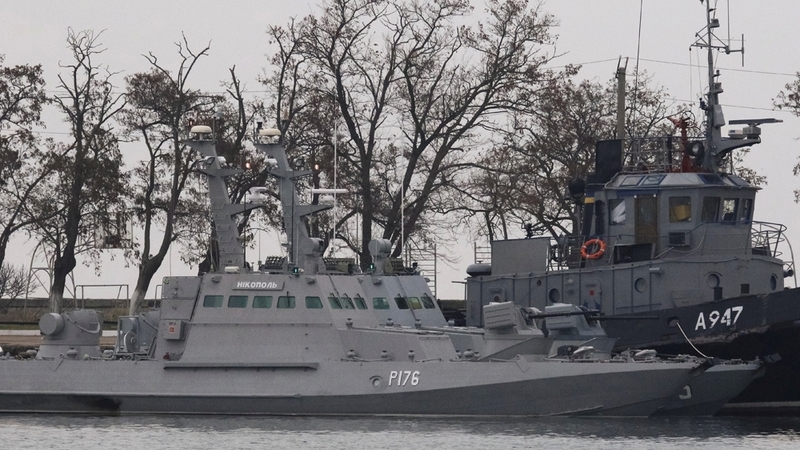 Kiev, Ukraine – Ukraine is planning to impose martial law on Monday, a day after Russian servicemen opened fire on three Ukrainian ships near Crimea, wounding six servicemen and escalating a months-old naval confrontation that could reignite Europe’s hottest armed conflict. President Petro Poroshenko has ordered an emergency session of Verkhovna Rada, Ukraine’s lower house of parliament, to approve the martial law for a period of 60 days. He warned that the step does not mean a declaration of war against Russia. “Ukraine is not planning a war against anyone,” he told the National Security and Defense Council, which convened early on Monday. Poroshenko also said that Ukraine would stick to the Minsk Agreements, peace deals his government inked with Russia and pro-Russian separatists in southeastern Ukraine that were designed to stop a war that claimed more than 10,000 lives since 2014. The war began after pro-Western protesters overthrew pro-Russian President Viktor Yanukovych in February 2014, after months of violent protests in the capital, Kiev. The separatists claimed the new, fiercely anti-Russian government planned a “genocide” of ethnic Russians in eastern regions, Ukraine’s rust belt and Yanukovych’s support base. The martial law will ban public gatherings, restrict media freedoms and the movement of Ukrainian nationals and foreigners and will suspend any elections. Poroshenko, whose approval ratings are below 10 percent, is widely believed to be seeking re-election in the March 30 vote. His cash-strapped and increasingly unpopular government relies on Western loans to keep the economy afloat. “We need new sanctions against Russia,” Ukraine’s ambassador to the European Union Mikola Tochitsky said in a tweet on Monday. Russian special forces fired on and seized two Ukrainian cutters and a tugboat on Sunday near the Kerch Strait that divides Crimea from mainland Russia. The ships had left a military base in the Black Sea port of Odessa days earlier and circumnavigated Crimea to enter the Sea of Azov, a shallow body of water shared by Russia and Ukraine. In May, Russia unveiled the multibillion-dollar Crimean Bridge across the Kerch Strait, and the Kremlin is concerned about the safety of its only link to the annexed peninsula. Poroshenko called the attack “an act of aggression,” but Moscow claimed that Ukraine “provoked” the Russian ships by entering Crimea’s waters. Is democracy in Sri Lanka in danger?